In my last Anime-poll related article, I told you about what I find so interesting in Anime polls. 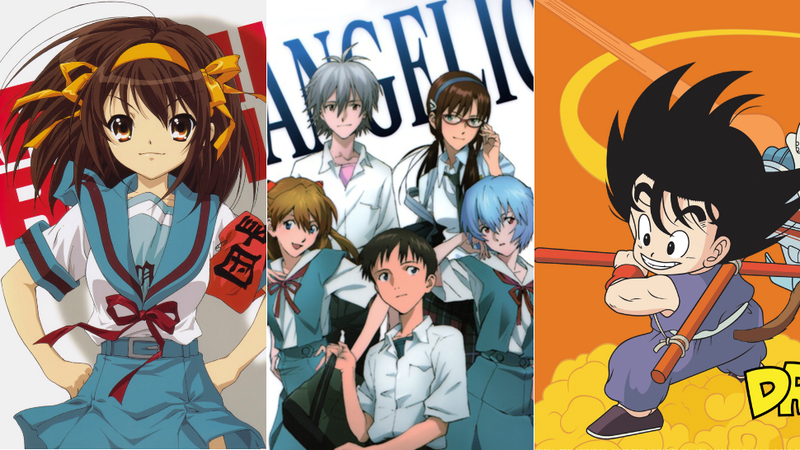 Recently Japanese site My Navi decided to ask their readers which series first got them into watching Anime, one question that has been asked too many times, but that never ceases to be an interesting one. The interesting part is seeing how this changes with recent series and seeing how males in their 40's saying that recent series like K-On! were the series that hooked them into Anime. Now I want to see your choices, but I'll start this with my own. While I grew up watching Dragon Ball, Sailor Moon, Saint Seiya and the likes of it I never realized they were made in Japan. I just saw them as really cool-looking cartoons. This was the first series that made me really think, "I really want to see more series with great characters and so good chemistry between them like this", "I want to be a cop when I grow up", "If I ever get a girlfriend I want her to be like Natsumi" and made me search high and low in the Internet for similar series, and that's when I found out about how big the Japanese Animation scene was, and it just went up from there. But now it's your turn, What is the series that got you hooked into Anime, and why?